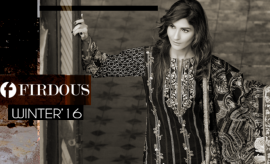 Here comes the most spectacular and demanded Eid Collection by Gul Ahmad, The Festive Collection for Eid. As the month of Ramadan has just reached, which is followed by the wonderful occasion of Eid al-Fitr, you people must be waiting for the designers and brands to unveil their special festive collections. If so, you have finally hit a perfect platform to find one. We have covered up so many collections for you, for this particular event to make it all the more special for you. As finding a perfect festive dress is a big deal and getting it stitched in time is another hard task. 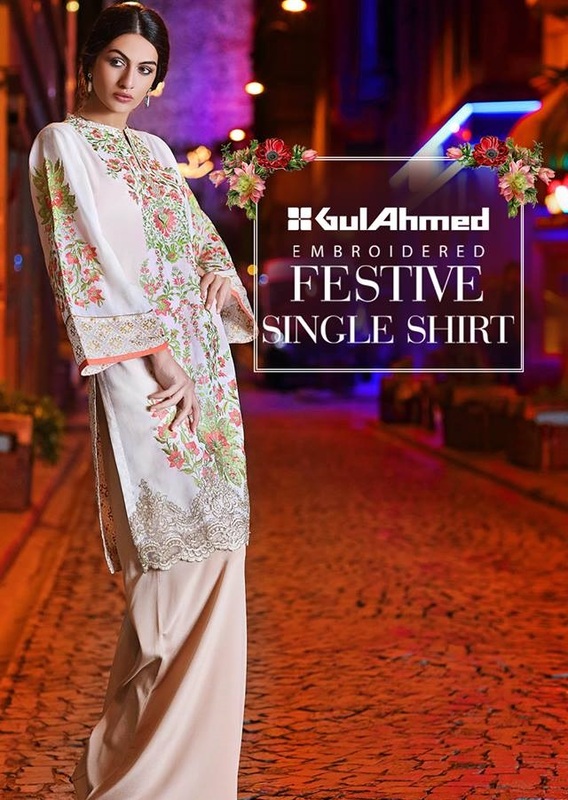 One of the very popular festive collections in market has been launched by the renowned clothing brand Gul Ahmed. 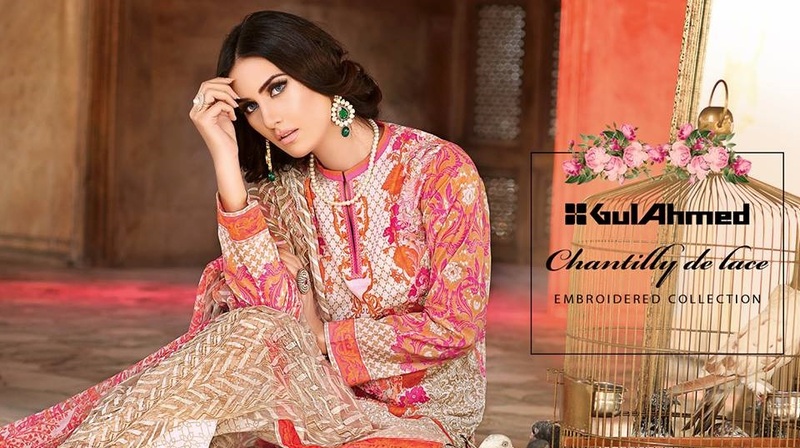 Gul Ahmed is one of the most demanded fashion labels of Pakistani clothing industry serving with excellence since 1953. It deals in men’s clothing as well as women’s clothing including top varieties of lawn, cotton, khaddar, and other fabrics. This brand has found to be more conscious about variety, which can be understood from the number of collections it introduces every year. 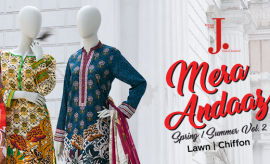 After launching so many volumes and categories of Lawn collections, Gul Ahmed has released another special collection for the great occasion of Eid. 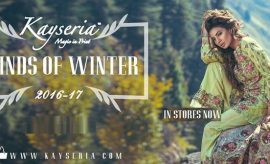 Gul Ahmed Festive Collection 2016-2017 is a special festival edition containing a wide variety of embroidered lawn and Chiffon dresses. 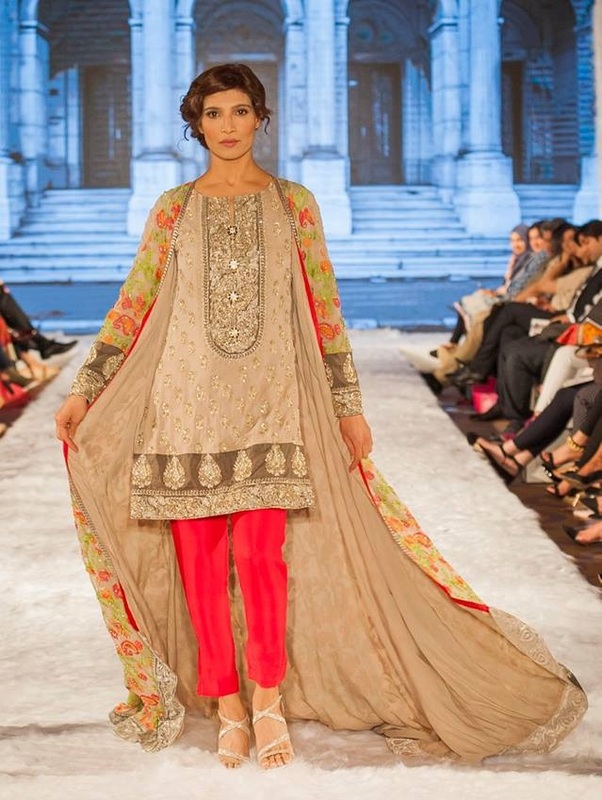 Stunning lawn prints in splendid colors and contrasting hues are wonderful enough to be worn on the great day. 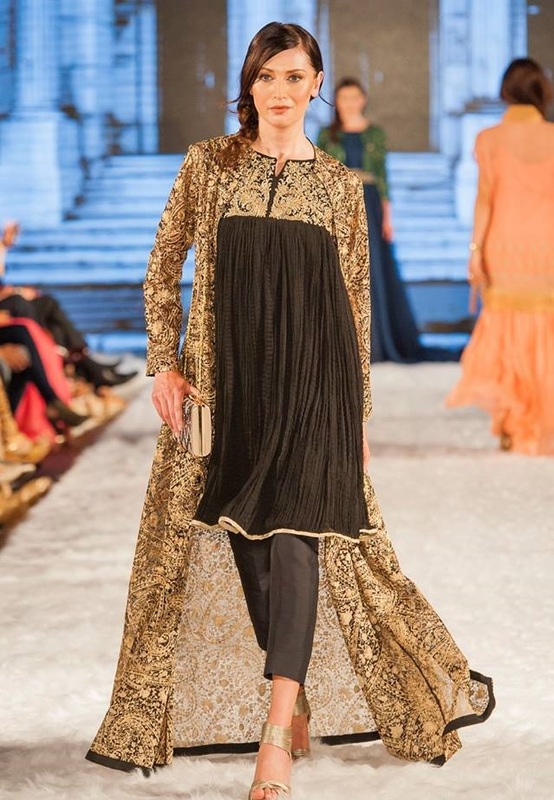 The dresses are available as single shirts or three piece unstitched suits with embroidered patches and chiffon dupattas. 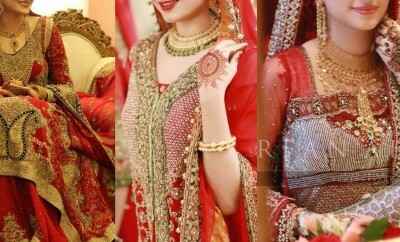 These brilliant designs of chiffon and lawn suits are quite attractive to be considered for the occasion. 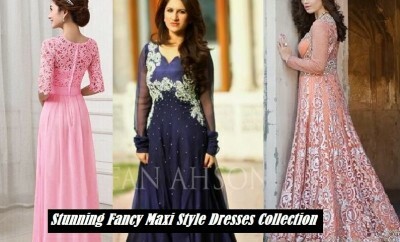 Some articles are embellished with light embroidered work on necklines, front and sleeves. 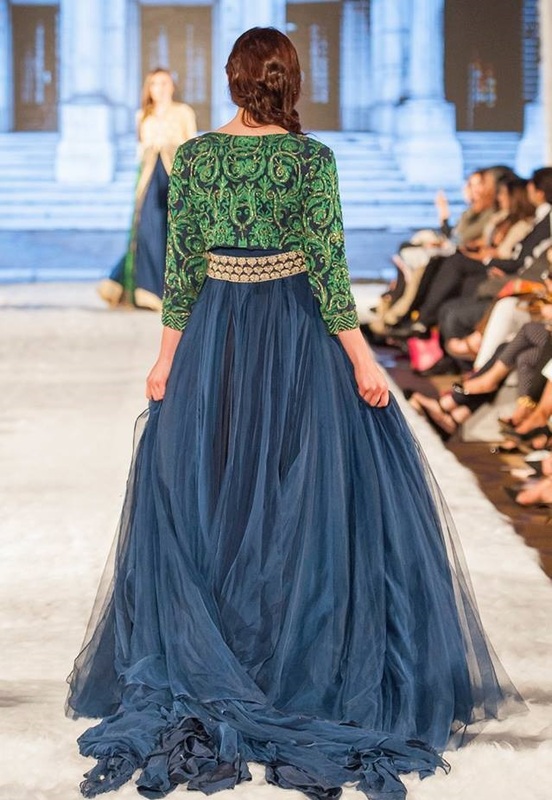 The collection is further categorized into single shirts, embroidered singles, chantilly de Lace, Premium Embroidered collection, embroidered chiffon, and Trencia Satin Silk. You may get these within a varying range of 1,260 PKR to 13,5000 PKR. If you have not seen these wonderful dresses, have a look at them below. 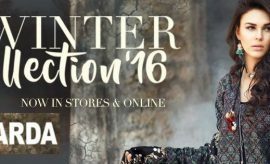 Gul Ahmed Eid catalogue 2016-2017 is right here for you ladies. All designs and prints are being added into the following photo session along with their codes and other details. Take your time and chose a perfect print for you. 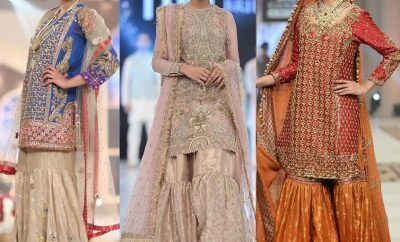 Make this festival memorable for you by wearing these stunning outfits and surprise everyone by your sizzling and dazzling looks. 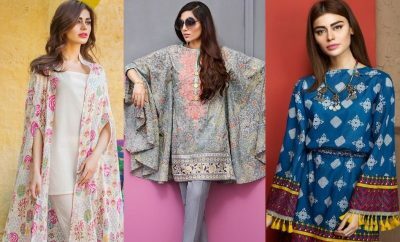 We recommend you to dress up this Eid in one of these outclass dresses to look gorgeous on the Festival. Share your views about this assortment in the comment box and let us know what else do you like to see for the festival. You may purchase these items from the brand’s E store or get them by visiting the nearest Gul Ahmed outlet in your city today. Keep visiting our Eid Gallery for eid stuff.